Are you a new to the Instant Pot? A little nervous and unsure of where to start? Look no further. I have 10 recipes to share with you today that will give you the confidence you need to use your Instant Pot! I’ve been using my Instant Pot* for the past year (almost every single day!). Whether I’m just making hard boiled eggs or some brown rice to go with dinner, it’s just a handy tool that has found a permanent spot on my countertop. 1.You have to have liquid in the Instant Pot for it to come to pressure. When using a slow cooker you don’t need liquid. You can stick a piece of meat in the pot and turn it on and it works just fine (although most recipes DO have liquid). Check your owners manual to see the exact amount of liquid that it needs. My Instant Pot requires 1/2 cup liquid. For example in my Instant Pot Honey Bourbon Chicken I used half a cup of low sodium soy sauce. In my Instant Pot Sweet and Sour Ribs I used apple cider vinegar. But what if I want to make a recipe that doesn’t have liquid in it? There are many recipes that I’ve made that don’t have liquid in the recipe ingredients. One is my Instant Pot Lasagna. 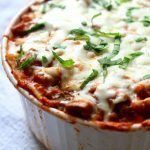 I used the pot in pot method to cook lasagna in my Instant Pot. In these cases you use the Pot in Pot Method. This just means that you’ll have liquid in the bottom of your pot. Then you’ll place a trivet* in the pot. And then an oven safe dish on top of the trivet with the ingredients inside. This allows the pot to build pressure and then cook the food that’s inside the dish. It takes a little longer than if the food was just in the bottom of the pot but it works really well. 2. You can’t add thickeners at the beginning. 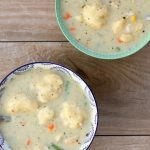 When using the slow cooker I often use thickeners like flour and tapioca to thicken the sauce or soup. I add these thickeners in with everything else at the beginning of the cooking time. However when using the Instant Pot you can’t do that. They stick to the bottom of the pot and burn. Sometimes you’ll get a message on your display that will say BURN. You’ll need to add thickeners at the end. A lot of times I’ll make a cornstarch slurry (a mixture of cornstarch and water) and add it in after the food has cooked. This works beautifully and thickens up the sauce in no time. 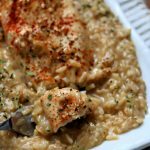 I used this method when I made Instant Pot Butter Chicken. 3. Use trusted resources and recipes until you get the hang of it. Although I’m a good crockpot cook, who likes to “wing it” when cooking, I found that pressure cooking is a whole different thing. Entirely. I met many failures and frustrations, until I realized I needed to pretend like I knew nothing about cooking, and go into it with that mindset, so I could learn afresh. I followed recipes, from trusted resources, because winging it didn’t work until I learned this new method of cooking. Once I came into it with that mindset, it all became a LOT easier. Here are some EASY recipes that you can make in the Instant Pot. These recipes will give you confidence that you can succeed at using your electric pressure cooker! Hard Boiled Eggs. One of my very favorite things to make in the Instant Pot is hard boiled eggs. We love to eat them for a quick on the go snack. There are so many methods of making them. Here is the method I use for making Instant Pot hard boiled eggs. Brown Rice. I could never get brown rice perfect when I tried to make it on the stove. Now it’s a cinch! I use this method of making Instant Pot brown rice and I love it. Works every time!! Seasoned Shredded Chicken. Sometimes it’s just nice to have some flavorful shredded chicken on hand. It goes well in other recipes (like chicken salad or chicken tetrazzini) or served by itself. 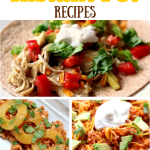 This is my favorite recipes for basic shredded chicken. You can even cook the chicken from frozen. Mashed Potatoes. I love mashed potatoes. YUM! We don’t make them very often but they are so easy to make in the Instant Pot. You may never use your stove again. Chicken Gyros. Our whole family loves these Instant Pot Chicken Gyros. They are very flavorful! This recipe has a video to go with it of my daughter demonstrating the recipe. Spaghetti Squash. I will never use another method again to make spaghetti squash. This is hands down the easiest and fastest way to cook it. Mississippi Roast. This roast is super flavorful and fall apart tender. We like to serve it on toasted buns. Chicken Enchilada Soup. I love making soups in my Instant Pot. Especially one’s like this where you just dump everything in the pot and walk away. Beef and Cheddar Sandwiches. This recipe has 5 ingredients total and tastes amazing. Perfect for serving a crowd of hungry people. Honey Bourbon Chicken. We liked to serve this chicken over rice or noodles. We even throw stir fry veggies in to round out the meal. 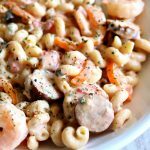 Check out my FIRST 30 days of Instant Pot recipes. 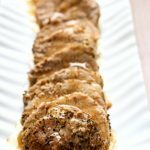 You can download a PDF version of all the recipes to print off or to view on your tablet or computer. Click here to download the book now! I hope this was helpful for you! Sign up to receive all my new INSTANT POT recipes by email below. Am so thankful for your tips! Is there a quick way to wash the top and the seal? My husband washed the dishes and it takes him so long to wash the top and seal, I am hesitant to use the Instant Pot as much as I would like to!! Saw you & your husband on Dave Ramsey’s show–impressive! Congratulations! I no longer have a crockpot & am new to Instant Pot. 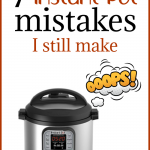 Do you ever use your Instant Pot in Crock pot mode? Thanks so much for all your wonderful recipes. I have picked out a couple of the easier ones to try out. I don’t do Facebook, so can’t join your group. Hi Sharon, I’m glad you found us! I haven’t used that function much at all. However I have heard from several people that you should use the highest setting for it because the lowest setting it almost just like a keep warm setting. Karen. HELP!! I bought a 3 qt. instant pot and am finding it so hard to find recipes for it!! Any suggestions for an 81 year old?? Thank you for sharing! Newbie here 🙂 will definitely be trying some of these out. Thank you Karen, for these great recipes! 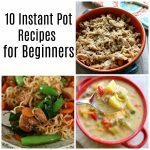 I am new to Instant Pot & look forward to trying them. I love pot in pot cooking looking for some new ideas. 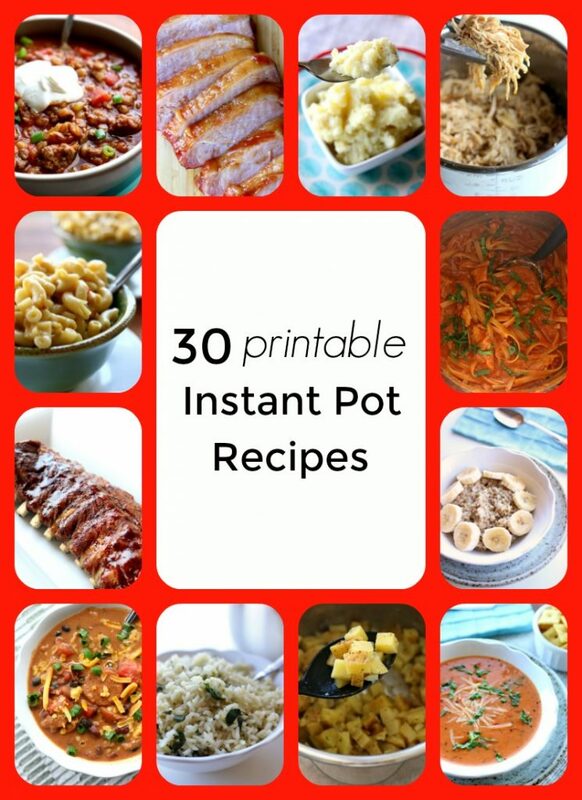 So excited to try these Instant Pot recipes. Thank you! Hi Deb, I hope you enjoy them! We sure have. Thanks for the recipe book. I already receive your recipes by email and I love your them all! Anita, good for you! You will love the instant pot the more you use it. Good luck and God bless.